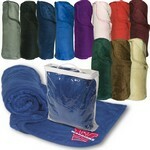 Promotion Pros is the best place to buy custom towels and blankets online to advertise your business. We are stocked with promotional beach buddy mats, custom blanket and bag combinations, booster blankets with your logo, and personalized chenille blankets, so no matter what you're searching for in a promotional towel or blanket, you'll find something that fits the bill. Showcase your company name to promote brand recognition and use a functional and fun item, like a fleece throw blanket, to do it! 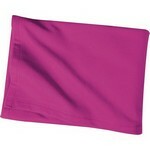 Browse our selection of Corporate Holiday Gifts like Bali 35" x 60" Midweight Beach Towel for your next company event. Our Custom Printed Bali 35" x 60" Midweight Beach Towel is the right choice for Promotional Logo’d Products at tradeshows, seminars and company events. Browse our selection of Unique Promotional Products such as Basic Weight 30" x 60" Beach Towel for your next company event. Our Custom Printed Basic Weight 30" x 60" Beach Towel is the right choice for Promotional Logo’d Products at your upcoming company event. 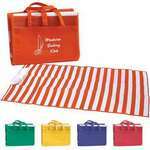 Create Customized Beach Blanket Tote with Sand Stakes to get interesting Branded Giveaways at the next company event. 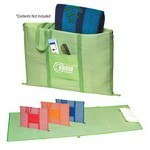 Share your beach mat with your favorite buddy when you use the Beach Buddy Mat and usher in good times and memories. 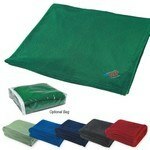 It is made of tubular polypropylene material that easily folds and zips up into a large tote bag. Relax at the beach using the Beach Mat and take a small nap if necessary using the comfort offered by the inflatable pillow. It is made of tubular polypropylene material and comes with a self-attached, non-woven cover, with carrying handles. 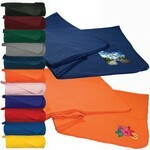 Our branded Fleece Booster Blanket weighs just 9 ounces and is easy to pack and carry for travel. The promotional Comeback Stretch Gloves feature double layered cuffs and text touch knit on the fingers. Print your Custom Logo on Fiji 30" x 60" Standard Weight Beach Towel to create amazing Personalized Giveaways for your upcoming tradeshow or company event. Print your Custom Logo on Maui 35" x 70" Heavyweight Beach Towel to get amazing Business Giveaways for the next tradeshow or company event.